Northbrook - Lovely, large, well maintained home*4 bedrooms upstairs*Kitchen has granite countertops and large island*Kitchen and dining area lead to backyard with inviting above ground pool*Large living room with vaulted ceiling*Family room or formal dining room off kitchen*Master bedroom has walk-in closet and vaulted ceiling*Ceiling fans in three bedrooms*upstairs bathrooms have dual sinks*Window coverings throughout*No carpet in entire home*Must see home* MLS#2087811. Shamrock Real Estate Svcs. * * * Brand New Custom Paint * * * Brand New Custom Design Tile * * * Brand New Kitchen Cabinet with Granite Countertop * * * Brand New Tile and Remodeled on All Bathrooms * * *Laminate Wood Flooring * * * Brand New Stainless Steel Appliances * * * Highly Desirable Centrally Located Close to Schools and the Strip. MLS#2087784. Congress Realty. Regal Estates - *will Not Last At This Price! * A Must See. MLS#2087813. Realty 360. Close to A rated schools , Shopping, Library,ect MLS#2087227. Heartland Realty. Master bedroom retreat with an amazing deck to take in the sunrise & sunset. MLS#2087661. Wardley Real Estate. Grand Teton Valley - Community includes basketball court, playground & park MLS#2087538. GK Properties. Close to shopping & VA hospital! A must See! ! MLS#2087526. Wardley Real Estate. Enjoy the deck off master to enjoy sunrise & sunsets! A Must SEE! ! MLS#2087653. Wardley Real Estate. Upgraded throughout granite, tile flooring, covered patio & deck off master to enjoy sunrise Appliances are included! A must see! ! MLS#2087510. Wardley Real Estate. Alexander Station - Spacious loft boasts tons of natural light. Large backyard w/ hobby/storage shed. MLS#2087412. Resolution Realty. Laguna Park - Loft Area Upstairs, Master Bedroom Includes Walk-In Closet, Separate Laundry Room with Washer, Dryer and Sink. MLS#2087689. RPM Jackpot. A must See! ready for Move-in! MLS#2087648. Wardley Real Estate. Beautiful balcony off master bedroom to enjoy in the morning & summer evenings. A Must See! ! MLS#2087645. Wardley Real Estate. Highland Hills - Grand master suite w/ spa like retreat! Move-in ready!! ! MLS#2086610. Maxim Properties. Alexander Station - Home is near parks, shopping, entertainment & restaurants. MLS#2087629. GK Properties. Sunrise Canyon - Grand Master Suite w/Spa like Retreat! Move-in Ready! ! MLS#2087452. Maxim Properties. Single Story Home In Great Condition*like New Flooring And Paint*living Area At Front Of Home*family Room And Kitchen With Sliders To Back Yard*spacious Kitchen With Breakfast Area*large Master Suite With Walk In Closet*master Bath With Tub And Shower*secondary Bedrooms With Closets*guest Bath With Dual Sinks*must See! 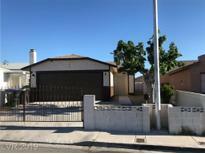 MLS#2087067. Coldwell Banker Premier. 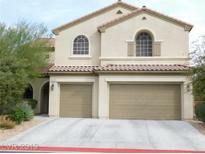 Tesoro - Ready to move in and easy to show. Community park with playground. 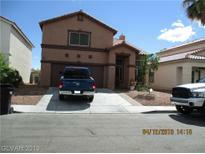 MLS#2087043. Showpiece Realty. Craig Revere - Tub/Shower/Dbl Sink*scndry Bdrms Have Potting Shelves*fabulous Backyard Has Lawn/Cv Patio W/Fan/Plants/Trees*please Remove Shoes Upon Entry/Put On Booties* MLS#2087708. Resolution Realty. 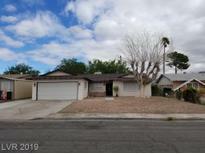 Desert Passage North - No more high water bills with desert landscaping, large backyard with endless possibilities. MLS#2087634. Vegas Homes Realty, LLC. Desert Horizons - 2 car garage, fireplace, fresh carpet, paint, and countertops. MLS#2087383. Platinum R.E. Professionals.